The 2-piece Uni-Guide design eliminated the tedious assembly and alignment process previously needed, saving time and also making it an easy field retrofit for existing machines. Trinity Labs is a Cartesian robotics R&D company located in Portland, Oregon that “envisions a world in which the conventional barriers between idea and reality are a thing of the past.” Their dedication to this goal goes far beyond words as they continually develop and advance 3D printing technology–while making it accessible to both the hobbyist and serious engineer alike. With a range of components for the RepRap community, retrofit kits for those looking to upgrade, and complete professional desktop 3D printers, Trinity Labs makes it easy to engage in the 3DP realm without the high startup costs associated with many rapid prototyping options. A key facet of the quality performance that Trinity Labs offers is the stable motion provided by PBC Linear for the “X” and “Y”-axis. The low profile UniGuideTM (UGA) solution is a simple 2-piece system. It is made up of a onepiece linear rail that has all of the critical surfaces machined with the patent pending onepass SIMO® process that was developed by PBC Linear. This process virtually eliminates bow, twist, and warp resulting in a precise, but cost effective linear guide. The carriage is also qualified aluminum with integrated bearing pads permanently bonded directly to the carriage itself. 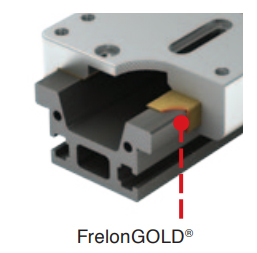 These bearing pads are made of FrelonGOLD®, a PTFE based material that is self-lubricating, requires no outside lubrication, and provides consistent smooth motion. Clearance between rail and carriage are held to exacting tolerances creating a tight fit to the rail that is reflected in the quality output. 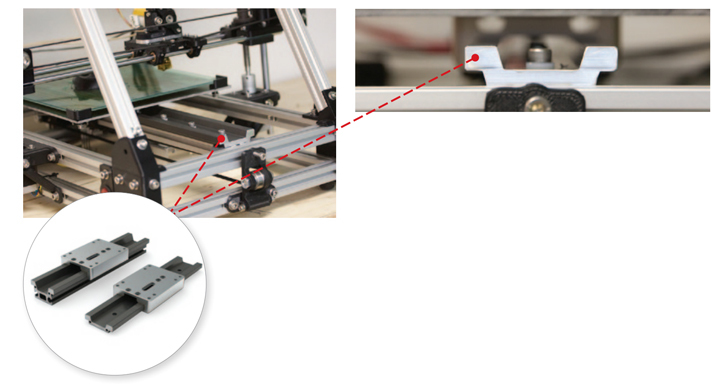 This ultimately leads to greater control of the buildup of materials on the 3D printer bed. Together, the UGA rail and carriage assembly have helped raise the bar on performance as part of a retrofit kit for existing machines in the field and for the redesigned MendleMaxPro model from Trinity Labs. The original design utilized a dual shaft linear system with bronze bushings. This required multiple components, fixtures, and a time consuming assembly process to align the shafts so the bearings would move freely without binding. The 2-piece Uni-Guide design eliminated the tedious assembly and alignment process previously needed, saving time and also making it an easy field retrofit for existing machines. It’s these types of advances that keep Trinity Labs on the cutting edge of competitive 3D printers while increasing quality and reducing costs. Recently, Trinity Labs released a new desktop printer designed to make higher precision 3D printing more affordable. The Aluminatus TrinityOne platform utilizes the SIMO® Series lead screw driven rails on the “X” and “Y”-axis. These driven systems are based on the same UGA rail and carriage, but also integrate a Constant Force™ lead screw and nut to drive the carriage. The Aluminatus design further reduces the number of components that need to be assembled. 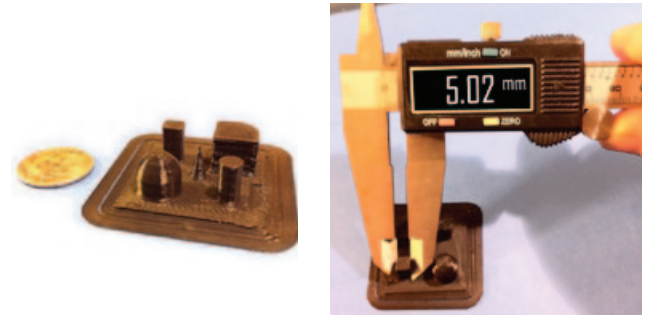 The reduced part count for each printer has gone from 400 pieces to 35 parts with overall assembly time dropping from 40 hours to under 2 hours. 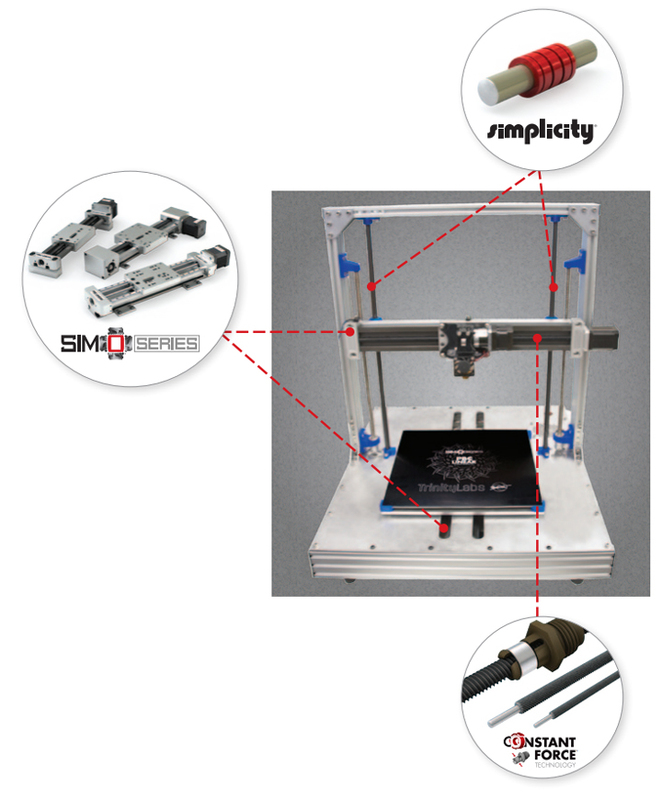 The combined technologies of SIMO Series and Constant Force Technology (CFT) provide the Aluminatus with the high quality linear motion needed to meet their standards and increase their quality 3D printing objectives. Previously used and competitive belt drive designs hold a repeatability of +/- 0.1 mm/m for linear position with the smallest layer height at 100 microns. With SIMO Series and CFT, the Aluminatus improves repeatability to +/- 0.02 mm/m and a layer height of 50 microns. This is made possible because the CFT lead screw technology allows the drive mechanism to accelerate, brake, and corner fast with responsive precision as compared to the “springy” effect and cogging of a reinforced belt and pulley designs. This belt “plucking” can often result in moray patterns or loss of sharpness in other features such as holes or cavities. An additional benefit of the greater control with CFT lead screws is that the Aluminatus can now utilize the entire 300 x 300 x 350 workspace effectively without worry of parts losing quality as the height increases.